"Royal Cuisine of Joseon Dynasty"
Korean Royal court cuisine, the essence of the Korean food(Hansik) culture, is made with the best ingredients, exceptional culinary techniques, and the devotion of its chefs. Hwang Hae-sung inherited the art of preparing royal cuisine from Han Hui-sun, a royal court lady who prepared meals for King Gojong and King Sunjong, the last two kings of the Joseon Dynasty. 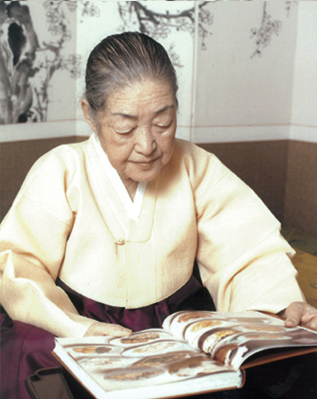 Han Hui-sun was later designated as the 1st Royal Culinary Art Master in 1971 when the royal cuisine of the Joseon Dynasty was proclaimed the 38th Important Intangible Cultural Property of Korea. 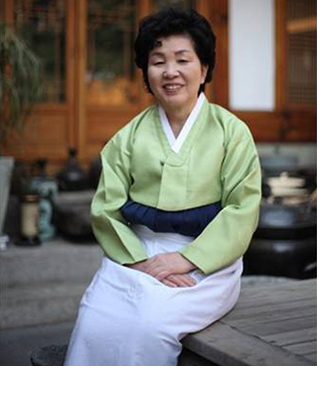 When Han passed away, Hwang Hye-seong succeeded her and took the title of the 2nd Royal Culinary Art Master. Hwang devoted her entire life to studying and promoting royal cuisine, and her family members and followers are now carrying on this culinary tradition that has been preserved for 600 years from the Joseon period to today. We invite you to taste this royal cuisine, one of the healthiest cuisines in the world, and experience Korea’s traditional food culture at Jihwaja. purpose of systematically managing and conserving Korea’s cultural heritage to bequeath it to future generations. Han Hui-sun was the last court lady assigned to the royal kitchen to prepare meals for the kings at the end of the Joseon period. 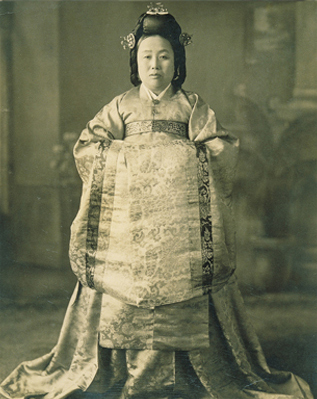 She became an assistant cook at the age of 13 in 1902 at Deoksugung Palace. After she became responsible for the kitchen, she attended to King Gojong and King Sunjong at Gyeongbokgung Palace and Changdeokgung Palace. Han, who was the queen’s favorite cook, was highly respected for her culinary skills. In 1971 when the royal cuisine of the Joseon Dynasty was proclaimed as Korea’s 38th Important Intangible Cultural Property, Han was designated as its 1st Royal Culinary Art Master, which prompted an active movement to preserve the royal court cuisine. Han passed down her knowledge and skill to her successors orally and through actual demonstrations, no written recipes were left behind. Nevertheless, her life-long commitment allowed this royal legacy to continue and thrive today. Hwang learned the art of royal cuisine from Han over a 30 year period starting in 1944 at the bureau of cooking located in the palace. When Master Han passed away in 1972, Hwang was designated as the 2nd Royal Culinary Art Master. Hwang made a significant contribution to the documentation and the teaching of the royal cuisine’s cooking method. This was done through publications with quantifiable recipes and through the researching of historical documents about the cuisine. She also launched the Institute of Korean Royal Cuisine before Master Han passed away. As the chief director of the institute, she was actively engaged in culinary education and the publication of cookbooks. Thanks to her dedicated efforts, the institute has become the leading facility in the field of traditional culinary art in Korea. Han Bok-ryeo and other experts of royal culinary art have been actively engaged in the study and promotion of royal cuisine in various fields. She deliver culinary education through the Institute of Korean Royal Cuisine (directed by Han Bok-ryeo). She publish books, attend international academic conferences, and promote royal cuisine and traditional dishes to the public through newspapers, broadcasts and magazines to lead the effort in globalizing Korean food. 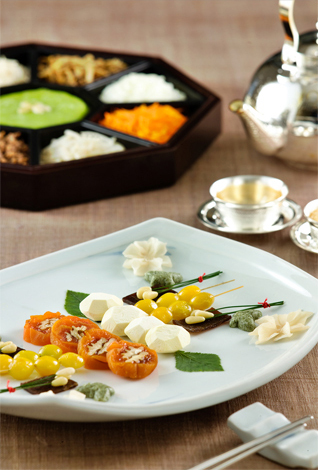 The inheritance of royal cuisine from Han Hui-sun to Hwang Hae-sung to Han Bok-ryeo has helped the restoration of culinary traditions and the development of the modern food culture of Korea.